Measuring how effective content is for meeting business goals is difficult because there is not one clear-cut way to do it. Several factors, when combined, work to determine whether content is ultimately adding to a company’s bottom line. That's why we use engagement as the overall metric at SribbleLive. Engagement matters because it’s an aggregate of many metrics. Companies are shedding models that chased just click-through or page views. They want readers to click and share and comment and vote and, most importantly, keep coming back. “Measurement is an evolving process, so I think companies are always refining how they are measuring and reporting ROI,” said Michele Linn, Content Development Director at the Content Marketing Institute. Engagement is the yardstick by which you can measure that success. Our clients have had a lot of success with that approach too. Since metrics can be tricky, we hosted a chat with Linn as well as Jeff Marcoux, CMO Lead, Worldwide Enterprise Marketing at Microsoft and board member of the Internet Marketing Association and Milena Regos, Principal at Out&About Marketing to talk about metrics and get their insights into content marketing measurement. Below are their top five pieces of advice for measuring, understanding and maximizing ROI. To see the chat in its entirety, scroll to the bottom of the recap. Setting goals is the most basic part of measuring effectiveness. They are the groundwork to build upon. Work backward from the goal to define what should be measured and what content should be to fulfill those goals. "I think it starts with what are the objectives of the content: Customer & Prospect engagement, awareness, customer loyalty, increased leads, increased revenues, thought leadership, other," Marcoux said. "Each of these have different key metrics you would want to measure. So it is important to start with what are your goals and objectives." Marcoux noted he usually has some specific objectives in mind and that they help him prove his worth to clients. Your goals may be different, but focusing on clearly defined and measurable outcomes will guide much of the content you produce. “I tend to lean toward lead generation and ideally revenue attribution as my key metrics," he said. "When I can create content that generates leads or accelerates deals for my sellers. If those deals close, I can then associate revenue back to the content pieces that touched that deal, thus giving me great insight into true content ROI." It's also essential to make sure your goals are communicated broadly. It seems obvious, but the more your team understands what it is they're aiming for, the easier it becomes to achieve those goals. "It all comes does to your specific business goals -- and then you need to create the metrics from there," noted Michele Linn. "Your organization's team members need to be on the same page of what is important and then track to those metrics." Once the goals have been established, the next step is to determine how you know when you've met them. Metrics help show performance, but the data does not mean anything without context. How do the day-to-day numbers fit in with the goals? A solid framework of clear-cut benchmarks must be in place to measure the gray area of content pieces themselves. “KPIs should how you are tracking against your metrics (for instance, how many leads or email subscribers you have)," Linn observed. "But, they don't shed any insight into WHY things are (or are not) working. 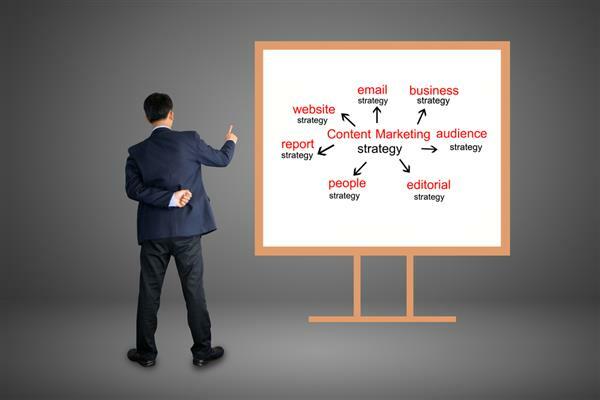 Analyzing your content effectiveness provides this kind of insight." If you're picking metrics just to have something to measure or because you have some sense that they matter, you are doing yourself a disservice. If you're having trouble deciding, go up the ladder. If you need something to take to your bosses to launch the conversation, lead generation, social shares and brand awareness are good places to start. “We pay attention to reach for brand awareness. After that is sharing metrics, ideally we get to leads,” Milena Regos said. “I think if I had to pick one metric to start with it would be lead generation," Marcoux added. 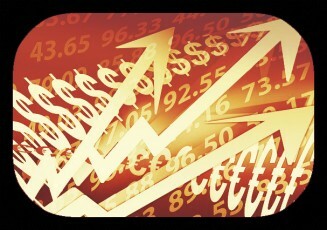 "This is the most tangible and easy to measure metric for marketers to show bottom line impact. If your strategy is in question, this will show ‘results.'" When the goals and measurement of their effectiveness are in place, it’s possible to develop ways to make the content even more effective. Take value-added content one step further by addressing what it does: Does it spark action, engagement or vitality? The actions are taken with content -- such as views, clicks, shares, likes -- are tangible ways to measure content. Discover the levers your individual pieces of content are good at pulling and which kinds of content are the best for getting specific results. Once you know how effective certain kinds of content are at spurring specific kinds of action, you can both tweak your approach and repurpose content to better suit what's working well. If you're producing a piece of content, be it a poll or a post, it needs to have a purpose. Content without a purpose is a waste of time and resources. The goals needn't all be grand, and in fact they can't, but all content should align with the overall purpose and help customers along their journey. “One of the big things we are looking at is path to goal/objective. So what streams of content are driving to conversions," Marcoux noted. "It is never ONE piece or type of content that works but rather how do they flow together to advance the individual forward." “Every piece of content should have a goal," he continued. "That goal will be to drive to a next action, next piece of content, or something else. 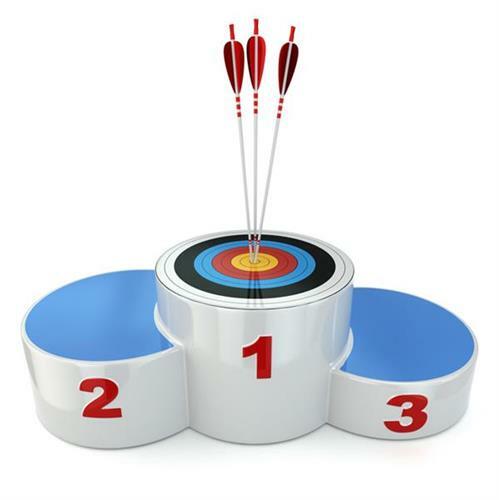 Those goals should be your KPIs because there isn't just one thing or one goal. With customers over 57% of the way through the buying cycle, marketing's job is now more important than ever before and you have to reach customers with content where they are in that journey." 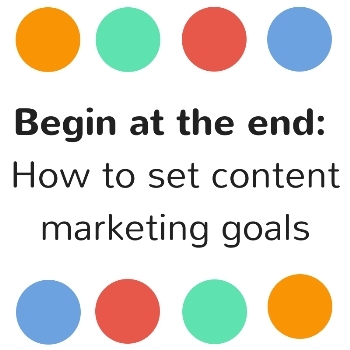 Goals are the central determinant of effective content. The role of metrics is to help shape content decisions. Drilling down with the numbers to get details about the targeted audience is just one way that can help guide content decisions. That kind of information gives content value, and purpose -- even if that purpose is simply to have an impact. "If effective content is important, that should be a KPI,” Regos said. Dangers of Too Much Measurement? While goals and metrics and measurement are central to your success, they're of no use to you if you can't tell the ones that matter from the ones that don't. You have to learn which data is useful and which is just so much white noise. A good way to sift what matters from what doesn't is to ask yourself (from the outset) which metrics would cause you to take action and which would not? A simple test is this: Does this metric help my company or my customer? "Only measure what you are going to take action on," Linn suggested. "Focus on INSIGHTS. Don't measure for the sake of having the metrics." Don't be afraid to ditch old school metrics too -- they may still have some value, but if they're not moving toward the goals you've set, it may be time to jettison them. Besides, not only do some of the older vanity metrics have less value right now, they'll lose even more of their value we go forward. "I couldn't agree more that you can get too caught up in historical measurement," Marcoux said. "It is key for companies to have easy to use insights tools to enable marketers to mash data together to glean insights from it. I think that we are headed towards a future where predictive analytics helps to select next best piece of content for each individual." What you can learn from data and the way it will shape content production is going to increase exponentially, especially as we move into the realm of predictive analytics. “We have so much data, I would argue that it is our most precious natural resource. The question is how to we find significance in the data we have to drive personalization," Marcoux observed. "Predictive content marketing is simply serving up the best next piece of content to each individual based on their previous behavior." Be open to changing the content plan to meet changing goals. If your measurement efforts are not working, you will need to change how you measure the content. Trying to scramble and adjust on the fly will often just prolong a problem you could mitigate by hitting reset. In addition, the only way you're going to see a return on your content is when you produce it consistently -- don't get trapped by the idea that everything must be original. Curation is not only widely accepted, but also sought after by readers. Finally, remember that you need to have something to aim for when you're creating content -- if there is any central truism when it comes to linking content and ROI, it's that you need to know what the goals are. Our all-in-one SaaS solution combines predictive analytics with content planning, creation, and distribution technologies to deliver optimized business results. See why brands love ScribbleLive. HI Everyone- I am on the board of the Internet Marketing Association with over 1 million members worldwide where we focus on education and growing the internet marketing industry. Gosh, I've been doing forms of content marketing for a long time- as far back as when email marketing was becoming popular and we needed to create content that interesting enough for people to click on. How do you measure your content marketing efforts in your organization? What are each of your companies hoping to achieve? It has been amazing to see the shift in what 'content' marketing is in the industry. From simply emails and visuals to infographics & videos and now all the way to transmedia marketing with new emerging technologies. I think it starts with what are the objectives of the content: Customer & Prospect engagement, awareness, customer loyalty, increased leads, increased revenues, thought leadership, other. Each of these have different key metrics you would want to measure. So it is important to start with what are your goals and objectives. At the most basic level, we are using content marketing to attract email subscribers as this is the backbone of our business strategy. Those people who are email subscribers are more likely to attend our events (Content Marketing World), so it’s an essential way for us to start a relationship. What key elements/metrics make up your ROI? When you first started who did you turn to/what references did you use to sort out how to measure? Here is a chart of some of the common goals and associated metrics, if helpful. I tend to lean toward lead generation and ideally revenue attribution as my key metrics! When I can create content that generates leads or accelerates deals for my sellers. If those deals close, I can then associate revenue back to the content pieces that touched that deal, thus giving me great insight into true content ROI. Recently I read that there's a danger in too much measurement. That you’ll ignore the biggest opportunity you have — What are your thoughts here? The easiest metrics we started with were views & downloads and then eventually # of leads generated through gated content. They key here is that your gated content has to be WORTH IT for people to give over their information. Well, the Content Marketing Institute is an awesome resource. Also Jay Baer from Convince and Convert, Curata, your CRM and email marketing systems and of course Google Analytics. I agree with Jeff that it all comes does to your specific business goals -- and then you need to create the metrics from there. Your organization's team members need to be on the same page of what is important and then track to those metrics. There's way too much measurements and data but little analysis of the data. Focus on what matters. I agree with Milena. Only measure what you are going to take action on. Focus on INSIGHTS. Don't measure for the sake of having the metrics. I couldn't agree more that you can get too caught up in historical measurement. There are some amazing startups out there that are helping marketers connect the dots between their content. IE: What touchpoints lead to the desired conversions/goals. It is key for companies to have easy to use insights tools to enable marketers to mash data together to glean insights from it. Furthermore, I did say historical measurement :) I think that we are headed towards a future where predictive analytics helps to select next best piece of content for each individual. That said, I spend more time analyzing what is working -- and what isn't -- than I have in the past. I do thing it's important to understand what your audience really wants instead of continually publishing. Exactly Michele. As marketers still want leads and revenue but know that content is important you need to connect the dots from emotions to actions. Jeff, can you talk more about predictive analytics, and maybe examples of what that measures? One of the big things we are looking at is path to goal/objective. So what streams of content are driving to conversions. To mean, it is never ONE piece or type of content that works but rather how do they flow together to advance the individual forward. Ha! I was just typing the same thing. Using measurement to connect the dots is key! Jeff: Are there certain start ups / companies you would suggest we look at to help with this? As a marketer, you need to have content that lets prospects and consumers go as far 'down the rabbit hole' as they want. Happy to talk more about predictive! 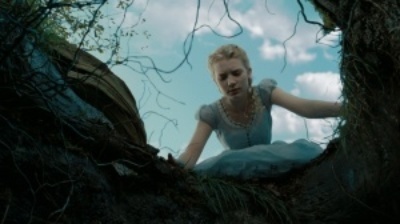 The Content Council - Content ExchangeIn Alice’s Adventures in Wonderland, Alice blindly jumps into the rabbit hole in striking similarity to the way many marketers today are jumping into content marketing. Most marketers will increase their 2014 content marketing investment, without a doubt (71% to be exact); however, only a select number of them will succeed as a result of putting in the hard work needed to build the team and process elements for an effective content marketing strategy. Some say measuring ROI is challenging? Do you agree/disagree? Elaborate as to why? Interested in learning how the ScribbleLive platform can help you measure the effectiveness of your content marketing efforts? Sign up and we'll be in touch. We have so much data, I would argue that it is our most precious natural resource. The question is how to we find significance in the data we have to drive personalization. Predictive content marketing is simply serving up the best next piece of content to each individual based on their previous behavior. Do you have an innovation budget? What are some tricks for convincing senior-level management who may be risk adverse to try new things in content marketing?